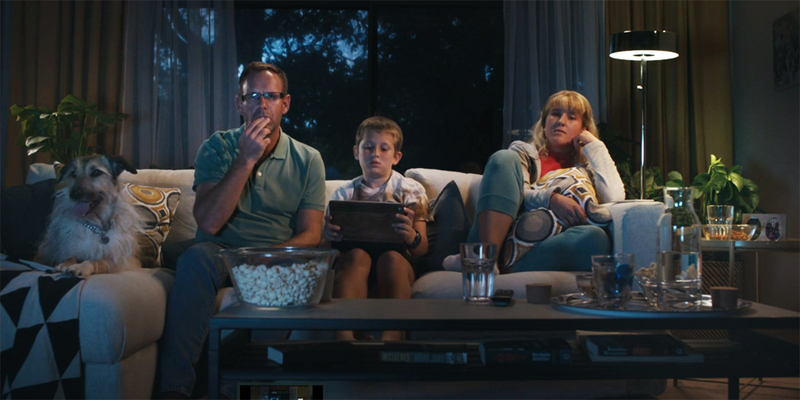 When a family's movie is interrupted by a bad ad, it becomes a good ad...for Ikea. Ikea’s home-country agency, Åkestam Holst, is really doing an impressive job turning boredom into a marketing medium. The Stockholm-based creative shop, Adweek’s International Agency of the Year for 2017, debuted a preroll campaign last fall that practically (and sometimes literally) begged you to skip its long and pointless ads. Perhaps because the clips were so mesmerizingly inconsequential, they proved oddly entrancing, with the average viewing time being 3 minutes and 39 percent of viewers reportedly watching the full 9-minute clips, according to the agency. Now the hyper-realistic “Where Life Happens” Ikea campaign is back, and this time we’re not just watching a boring ad. We’re watching a family watching a boring ad. Then we’re watching them not watch it. And that’s when it truly becomes an Ikea ad. While it might be overreaching to say the ad has a “twist,” as its monotony certainly never gives way, it’s still a nice visual play to replace the exiting family members with labels for Ikea products—which stick out so much better when no one’s around to use them. Running in Swedish cinemas, on TV and in digital, the spot was directed by Martin Werner of Bacon Stockholm.